In this paper the authors are concerned with a network design problem arising in the layout of a remote heating network. The problem can be modeled by a graph whose vertices represent the energy source, the demand points and the intermediate nodes and whose edges represent the possible pipe connections. Among the different arborescences rooted at the source and spanning all demand nodes and among the pipe diameters commercially available one must find a design of minimum cost which satisfies a number of physical constraints. 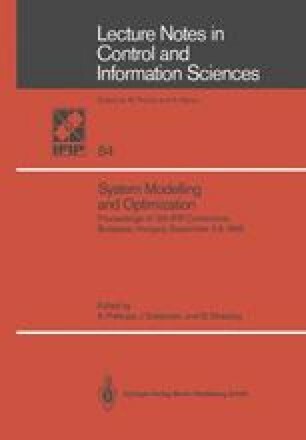 In this paper, we propose an approximation algorithm in which a tentative design generated by a randomized algorithm is subsequently improved by a local search scheme. The computational results, obtained for a large graph of 166 vertices, 64 demand points and 213 edges representing a district of Milano, are reported.